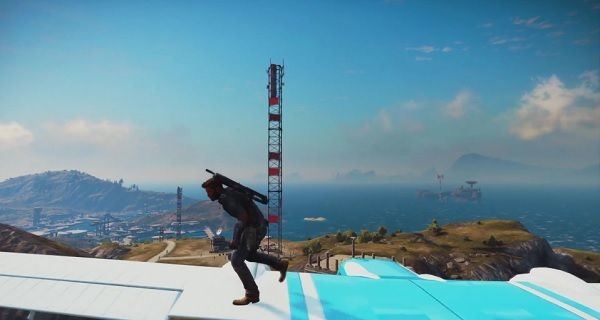 During E3 2015 we saw a stage demo for Just Cause 3 that allowed for those hosting the demonstration of the game to choose which path they wanted the demo to take in a Choose Your Own Adventure style. Now this demo has been made available to all as a Choose Your Own Chaos series of videos for those who simply can’t wait to play it. At certain points you’ll choose how to proceed (just be sure to turn on annotations), offering a variety of ways the preview can go. You choose how to take down the dictator’s statue, how to take out that bridge, and so on. Click on over to the other side to give it a go! Experience the fully interactive E3 Alpha footage showfloor presentation of Just Cause 3 and make your own choices about how to play with the game’s combination of cutting-edge sandbox physics, exciting new features and of course, Rico’s new tools and gadgets to cause chaos across the 400 sq. miles of Medici.